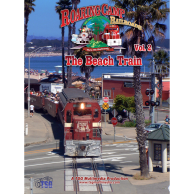 A Day at Niles features footage of the BNSF Warm Springs local, including shots of this vintage ex-Santa Fe warbonnet! The Union Pacific Niles Sub, Oakland Sub and Warm Spring Sub all come together at Niles, and many UP trains travel through this complex junction. A Day at Niles captures the railroading action at Niles Junction in Fremont, California. 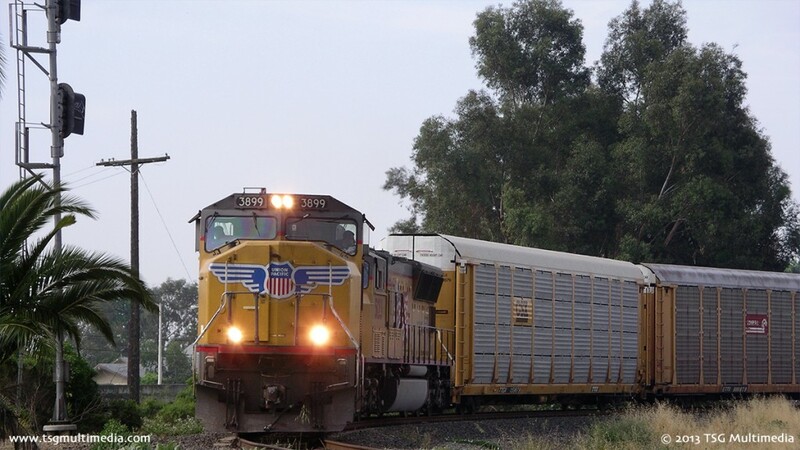 On May 20, 2008, TSG Multimedia’s cameras filmed every train that came through Niles Junction from morning until late in the afternoon. This video shows each train in its entirety! 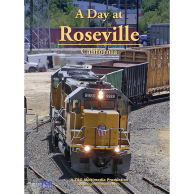 The Niles District of Fremont, California has a rich railroad history and is still an important crossroads where several Union Pacific routes intersect. The site where the old Niles Tower once stood, now known as Niles Junction, sees quite a number of trains on any given day. 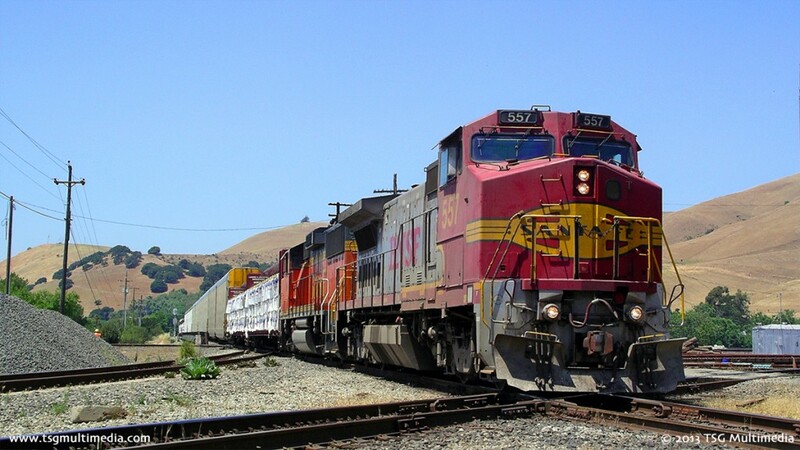 Freight trains through Niles vary from long strings of auto racks going to and from the NUMMI plant to the south, to stack trains carrying containers over Altamont Pass, to a Union Pacific local that appears several times taking different routes through the junction. Diesels can be big six-axle modern road power or aging four-axle units relegated to local service. 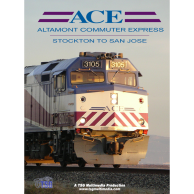 Throw in the BNSF Warm Springs Local exercising trackage rights over the UP, Amtrak’s Coast Starlight, Amtrak California Capitol Corridor trains, and the Altamont Commuter Express (ACE), and you have a location with a tremendous variety of freight and passenger traffic. Each train is shown in its entirety, just as if you were there with us at trackside. 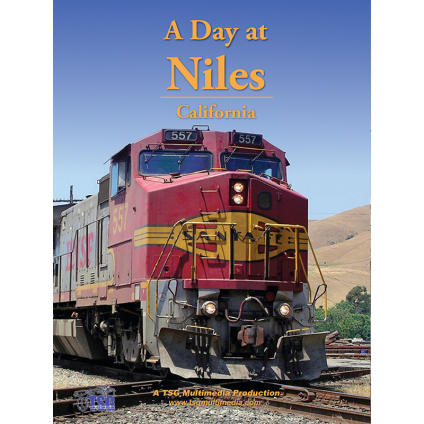 Since trains through Niles are not as frequent as in some locations, you would have to spend eight or nine hours waiting around to see what we’ve condensed into an 80-minute program! 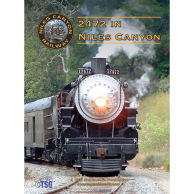 Join us for a look at this busy railroad hot spot as we spend a day at Niles!